In an attempt to put her past behind her, retired Secret Service agent Mirabelle Bevan takes a job at a debt collection agency run by the charismatic Big Ben McGuigan. But the mysterious case of Romana Laszlo brings Mirabelle back to her roots. Also available as an eBook. 1582, St Andrews. In the swell of a storm, a ship is wrecked in the harbour. The only survivor is a young Flemish sailor. The cargo brings devastation to the town as squabbling turns to tragedy. Hew traces the ship to its source in Ghent, where he uncovers a strange secret and ﬁnds his principles tested to the core. Also available as an eBook. When the body of a half-clothed woman is discovered in an Edinburgh park, a murder investigation is launched. The victim has not been reported missing and there are few clues to her identity. Soon after, the naked corpse of a prominent clergyman is found, also in a park. Is the same killer at work, and what is the connection between the attacks? Also available as an eBook. Introducing Uzi, a disaffected, deadly ex-Mossad agent with revenge on his mind. When he gets the chance to expose the details of a top-secret assassination operation he makes himself an enemy of his former employers. The Pure is a high-octane, action-packed, adrenaline-pumping espionage thriller. Buckle up, there’s a new Bourne in town! Also available as an eBook. Kirsteen, from an old but impoverished Highland family, rebels against her father and flees to London. Against the odds she finds work, striving for independence against a world determined to drag her down. Written in the late 1800s, Kirsteen is a startlingly modern novel in its treatment of women. Davie Watts is the Trackman. He knows what song you need to hear and he knows when you need to hear it. He seeks out strangers in need and helps them using the power of music. A powerful debut novel set in Edinburgh, by a Scottish author and with a killer soundtrack! Sebastain Zair is four years old. But a rare blood disorder means that he won’t live much longer unless he gets a stem cell transplant from a donor with a matching tissue type. It’s a race against time and time is not on Sebastian’s side. How far would you go to save the life of your child? This major new edition of MacLean’s epic work includes 400 lines never before published, along with MacLean’s own English translation, and an extended commentary. Forty-ﬁve other previously unpublished poems by MacLean also appear here for the ﬁrst time, with facing English translations. 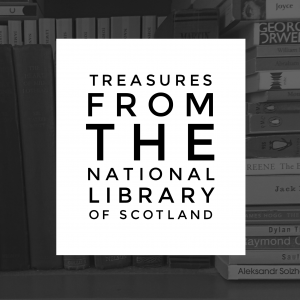 A celebration in Scots and English poetry of the life of Lillias Scott Forbes, nonagenarian poet and daughter of the composer Francis George Scott. Thoughtful, witty, amusing and timeless. These Islands, We Sing is a unique celebration of Scottish islands’ Poetry. This collection brings together world-renowned talent alongside many fantastic poets who deserve more attention. This anthology includes work by Sorley Maclean, Ian Crichton Smith, George Mackay Brown, Ian Hamilton Finlay, Hugh McDairmid, and many more. Original research into the structure of Edinburgh’s Old Town. The same issues in Patrick Geddes’ era still resonate today in the ﬁeld of modern development. The collection of English drawings and watercolours in the National Gallery of Scotland is rich, diverse and in many respects little known. This scholarly catalogue for the ﬁrst time makes the full scope and importance of the collection clear. 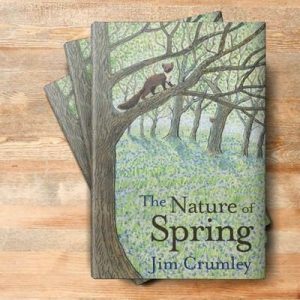 Beautifully produced and generously illustrated, it is a key reference work for a wide range of enthusiasts for British art. This fascinating biography tells the story of a rich eccentric, whose learning, insight and kindness produced extraordinary results in architecture and life, a man who combined being amongst the richest men of the age with artistic patronage of an almost incomprehensible scale. Also available as an eBook. The paintings and objects featured here offer a glimpse into the spectacular collection of Italian art which Glasgow Museums has been fortunate to develop, largely thanks to the great generosity of past citizens and benefactors. It features paintings and decorative works from the 14th to 19th centuries. Glasgow has the ﬁnest and most comprehensive civic collection of Italian paintings in Britain. Spanning ﬁve centuries, it includes masterpieces by Bellini, Signorelli, Titian, Domenichino and Guardi. Professor Peter Humfrey describes all 140 of Glasgow’s Italian paintings, and the catalogue is lavishly illustrated. Inspirations – a new series of introductory biographies of people of achievement from past and present. Margaret Leigh recounts a year of farming life on Achnabo farm, in a beautiful corner of the West Highlands overlooking the Isle of Skye. 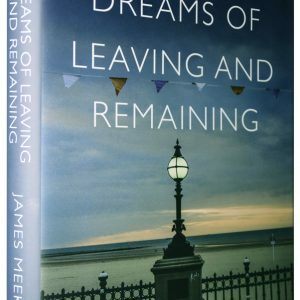 From the author of Driftwood and Tangle and Spade Among the Rushes comes this reflective and poignant memoir of a world now vanished forever. William Shakspere was a rich businessman from Stratford-upon-Avon, and a minor actor. But was he also the great playwright who wrote under the name Shakespeare? Or is that just a case of identity theft? Tony Pointon here restores to William Shakspere his own identity, and removes the myths that have distorted his real lifestyle. Three more cleverly illustrated stories for the under-eights. The latest picture book in the Granny Porage series for the young. successful and thoughtful author. For 2 to 8-year-olds. When Ewan’s father returns home after an absence of seven years, his body is covered in scars, his nails are like claws and there is a new wildness in his eyes. Someone or something wishes Ewan dead – because his father’s stormy past is not willing to let him go. With an emphasis on meals that can be prepared in advance, or main courses that can be served up in one dish, these recipes are designed for the minimum fuss, so you can relax and enjoy your evening with your guests, free from the stove. With fabulously tasty, stylish food, Entertaining Solo is the perfect kitchen companion for single chefs everywhere. Whether providing ideas for informal family fare, intimate gourmet meals or special occasions, Claire Macdonald is a remarkably reliable source of foolproof and marvellous recipes. Claire Macdonald turns her attention to ﬁsh in this practical, inspired and creative collection of recipes. Arranged in an easy-to-use format, with recipes arranged by season, Claire Macdonald offers a whole range of recipes for informal entertaining. This long-awaited book argues that, far from being an unrepentant terrorist, Abdelbaset al-Megrahi was the innocent victim of dirty politics, a ﬂawed investigation and judicial folly. 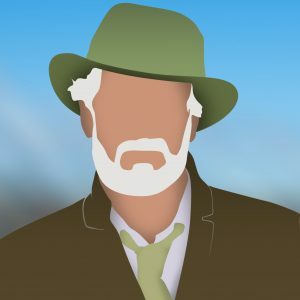 Based on exclusive interviews with Megrahi himself, and conclusive new evidence, it destroys the prosecution case and puts the Scottish criminal justice system in the dock. An entertaining, challenging and informative guide to all manner of drugs including alcohol and tobacco. A new edition of Carol Craig’s successful exposition of Scots’ attitudes to and predilection for negativity. She offers a refreshingly different analysis of the big themes of Scottish culture. Rewritten in parts and brought up to date. In 1995 Helen Percy, a young Church of Scotland minister in an outwardly idyllic rural parish was raped by one of her congregation. This book is her revealing, remarkable and candid story – a beautifully and powerfully written testament to the strength of the human spirit and a burning indictment of conservative forces in Scotland’s national Church and among popularly held attitudes. A Model Constitution for Scotland sets out a workable model for Scotland’s future and includes detailed constitutional proposals and informed discussion on the topic. A comment on the current political climate in Scotland. Various authors tackle different aspects of society coming to the same conclusion. On the 40th anniversary of Bloody Sunday, discover why, and how, the IRA splintered from one organisation into several factions. Scottish Gaelic translation of The Tale of Mrs. Tiggy-Winkle. As a child Beatrix Potter had known an old country washerwoman called Kitty MacDonald, the inspiration for the twinkly-eyed washerwoman who does Peter Rabbit’s laundry. Like its companion volume Scots Gaelic, an introduction to the basics, this handy book is of great help to learners and speakers. A new reprint of the successful Gaelic primer. A reference guide to Gaelic-derived words in common use. The ﬁrst-ever language course on Scots, this book starts from the most basic vocabulary and constructions, the reader is guided step-by-step through Scots vocabulary and the subtleties of grammar and idiom that distinguish Scots from English. ‘Tis Sixty Years Since: The First People’s Festival Ceilidh and the Scottish Folk Revival. Commemorating the 1951 Edinburgh People’s Festival Ceilidh (inspiring the Edinburgh Festival Fringe) this collection reﬂects on Hamish Henderson’s inﬂuence on Scotland’s Folk Revival. Tells the story of Britain’s railways in the 1960s and the opportunities in devolved Scotland to revive the trains in the Borders. Lavishly illustrated. A beginner’s guide from prehistory to the new Scottish Parliament. A well-illustrated narrative of the distinctive and charming ‘Colonies’ housing of Edinburgh. Of interest to Edinburgh citizens but also to students of social and housing history. and diverse picture of Pictish Scotland, examining the temporal and geographic, the cultural and mythical, the artistic and oral. This book captures the tales of over 70 women whose lives have made an impact on history both in Scotland and abroad. For the historian, the genealogist and the general reader, this is a book that will change your view of history. In Hebridean Sharker Tex Geddes describes his exploits during the 1950s as a hunter of basking sharks in the waters of the Minch, between the Inner and Outer Hebrides. His story is full of adventures and fantastic descriptions of a seagoing life in the islands. It has become a Hebridean classic. 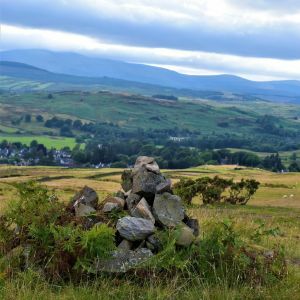 Set on a Hill is an engrossing and entertaining book which looks at the broad sweep of Scotland’s history from the perspective of just one small Scottish town – Auchterarde – an area that has been of surprising strategic historical importance for thousands of years. New edition of Forbes Macgregor’s lively history of Clan Gregor, which goes back to the dawn of history before dealing with historic events including the ‘proscription’ of the clan and the banning of the MacGregor surname. The story of Rob Roy is joined by the clan’s contributions in more recent times. Reprint of ground-breaking history of Lewis. Over the centuries, Lewis saw a succession of powerful landlords come and go. This book recounts the long-fought struggle over the land, and describes the islanders’ way of life. In writing it, Donald Macdonald combined original research with a deep personal knowledge of the subject. This collection of essays, from fourteen scholars, illustrates the strongly international and modernist dimension of Scotland’s interwar revival, and illuminates the relationships between Scottish and non-Scottish writers and contexts. It also includes two chapters on the contribution made to this revival by Scottish visual art and music. This book gives an account of Scots and Gaelic dictionaries and glossaries, and also of the contribution by many Scots to the lexicography of English, from medieval times to the major electronic projects of the twenty-ﬁrst century. The ﬁght to stop the closure of the Kvaerner Govan shipyard in Glasgow was the most high proﬁle industrial campaign in Scotland since the UCS sit-in in the 1970’s. This is the inside story of that struggle, told in his own words by campaign leader, Govan’s yard convenor Jamie Webster. In the 10-year period beginning in 1882, 271 barques and full-riggers were built on the Clyde during which time the yards of Russell, Stephen, Connell, Lithgow and Rodger established a worldwide reputation for the construction of large sailing ships of outstanding design, quality and durability. Three-masted barque Glenlee was one such vessel. This is her fascinating story. Based on real people and events this is a gripping factual account of the background events and repercussions of the milestone launch of the world’s ﬁrst 4-masted iron merchant ship in 1875. The phenomenal success of this large square rigged sailing-ship, named County of Peebles, prompted R & J Craig of Glasgow to launch a further eleven fabulous jute clippers. Glasgow, until recently, was a major European port and this publication describes its heyday, decline, neglect and subsequent redevelopment. Glasgow’s Harbour’s signiﬁcant contribution to the 1939-45 war effort is also covered in some detail. The book records an important part of Glasgow’s heritage and a similar pattern of change, redevelopment and regeneration can be seen in other British ports whose roots lay in the 19th century. Scott’s of Greenock grew from a small family business building and repairing Herring Busses in 1711 to leading the world in both merchant and naval shipbuilding to the highest standards. The gates closed permanently in 1993 thus ending a great relationship between the people of Greenock and the Scott Family Enterprise. DVD with 2GB of documents, tables and photographs included. There are well over 200 lighthouses positioned around Scotland’s breathtaking and energetic coastline. The author has captured 33 of these dramatic Scottish lighthouses in watercolour for this ﬁrst volume of his original paintings. Each painting is accompanied by a brief description of the lighthouse giving details of location, dimensions, history, and technical information. Provides an insight into the building and repairing of ships, on the Tay, on the Clyde, on the three rivers of the northeast of England, shipbuilding labour relations, and reasons for the decline of the industry. The late George Parker, the third generation of his family to build ships, writes about shipbuilding from the “inside”. A new (3rd) edition of the WWII story of the Royal Oak. Already the subject of a TV documentary, Last Dawn in now a text for the study of WW2 in schools. A lovingly compiled story of this unsung Scottish export, the magniﬁcent Clydesdale horse. Lovely photos, beautiful book. Drama. What happens if you lock up a Celtic fan with a Rangers fan on the day of the Old Firm Match? Des Dillon creates the situation and lets the sparks ﬂy as Billy and Tim clash in a rage of sectarianism and deep-seated hatred. Fiction. The Road to Lisbon is a novel of hopes and dreams, of self-discovery and triumph over adversity – and of an unerring love with an institution that represents so much more than just a football club. Also available as an eBook. Light-hearted and informative travel writing at its best. All on a bike, on his own. Meet Bafﬁes – the Entertainments Convenor of the Go-Take-A-Hike Mountaineering Club. He’s allergic to exertion, blisters easily and bleeds readily. Show him a mountain and he’ll ﬁnd the easiest way up it. You’ll ﬁnd no simpler way to climb Munros than to follow in his footsteps.